Now under construction at 20 Daly Avenue in downtown Ottawa, ArtHaus Condominiums by DevMcGill is the residential component of the highly-anticipated Ottawa Art Gallery (OAG) and Arts Court redevelopment. 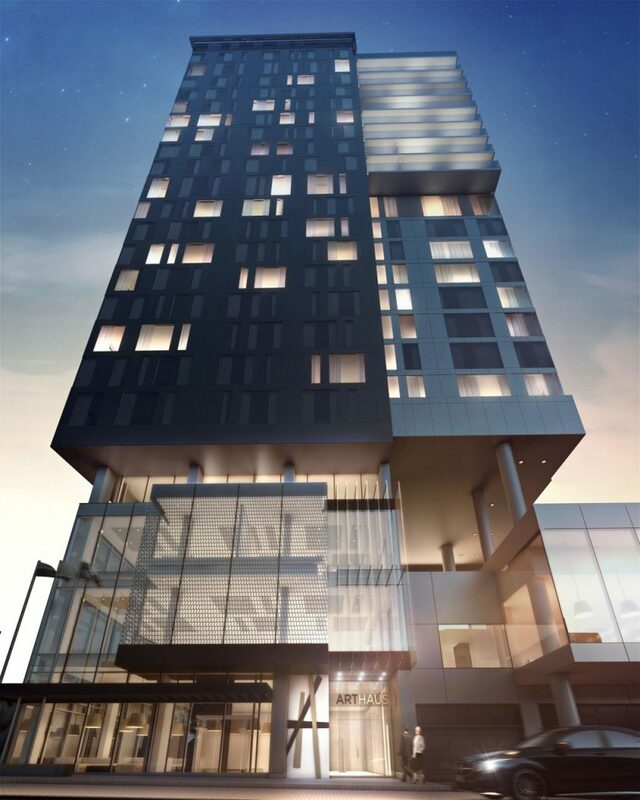 When completed in 2017, the 23-storey tower will house Ottawa’s first Le Germain Hotel on the lower floors and 89 private residences floors 15 and above. Priced from the mid-$200,000s the homes range in size from 500 square feet to 1,400 square feet and boast spacious floorplans designed by Toronto-based U31. 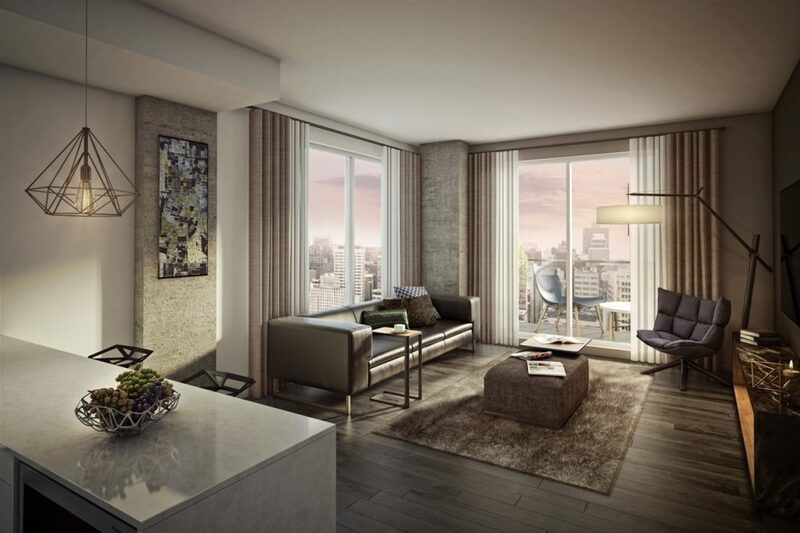 Each unit comes well appointed with nine- to 10-foot ceilings, modern finishes and spectacular city views. For a limited time, prospective homebuyers can take advantage of a special one price incentive on the Ogilvie suite priced at $589,990. This price applies to any Ogilvie suite on any floor which means purchasers won’t have to pay any premiums no matter which level they choose. With 1,146 square feet of living space, the two-bedroom, two-bathroom unit is sure to be a hit. Upon entering the unit, a long hallway leads to a bright and open living space with a formal dining room and gourmet kitchen, complete with a peninsula and breakfast bar. In the kitchen, home cooks will benefit from custom cabinetry with soft-close drawers and cabinet doors, quartz countertops and a modern appliance package with a fridge, cooktop, dishwasher, oven and rangehood. The thoughtfully designed layout also places the bedrooms on opposite ends allowing for increased privacy while simultaneously accommodating different working hours or lifestyles with minimum disruption. The generous master bedroom includes an expansive walk-in closet and a luxurious four-piece ensuite with dual vanities and a tempered glass enclosed shower with rain showerhead. 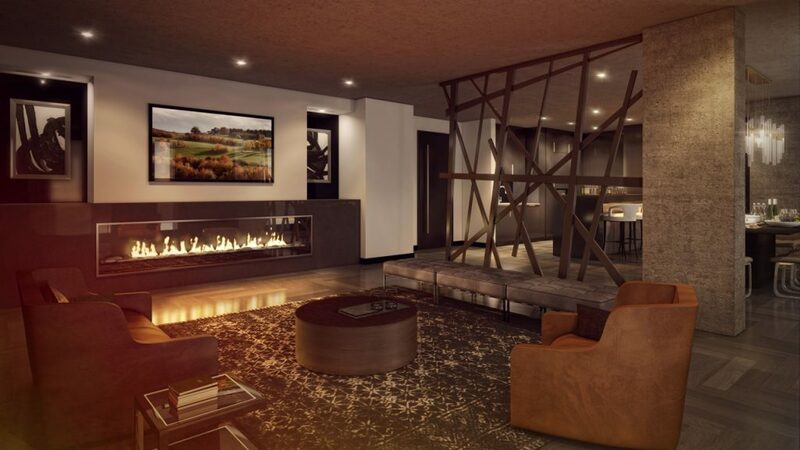 Amenities at ArtHaus are situated on the 15th floor and include a stylish Firestone Lounge, an exclusive multi-purpose entertainment centre with a fireplace, TV lounge, catering kitchen and formal dining room. A state-of-the-art fitness centre is also available with cardio equipment, yoga and weight training areas. Scoring an impressive 98 WalkScore, the development is also within proximity to many local amenities including the Rideau Centre, the University of Ottawa campus and the vibrant Byward Market. Plus, residents of the mixed-use community will be steps away from the fully renovated and expanded Ottawa Art Gallery and a 1,600-square-foot theatre run by the University of Ottawa. 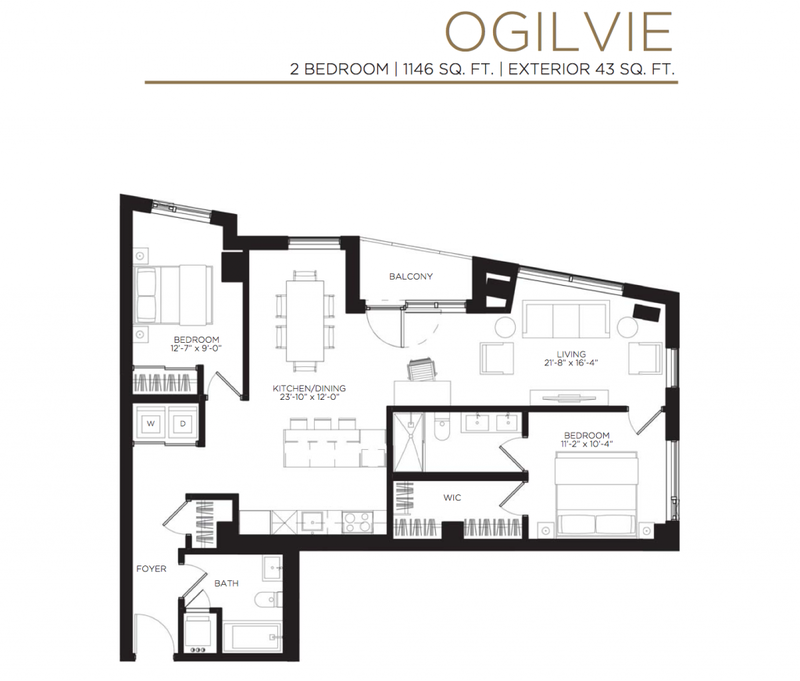 To learn more about ArtHaus and to take advantage of the special one price incentive on the Ogilvie suite, visit the presentation gallery at 264 Rideau Street in downtown Ottawa. Hours are Monday to Thursday from 12pm to 6pm, and weekends from 12pm to 5pm.